The 19th September 1999 dawned very wet. 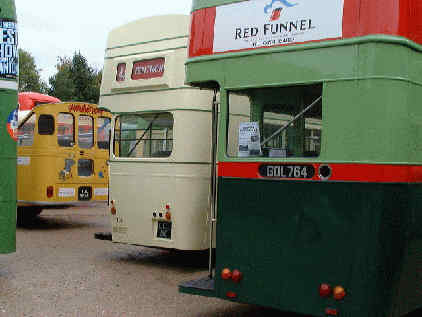 Despite this many buses and a fair crowd of visitors headed for Amberley Museum. The weather improved and a good time was had by all! 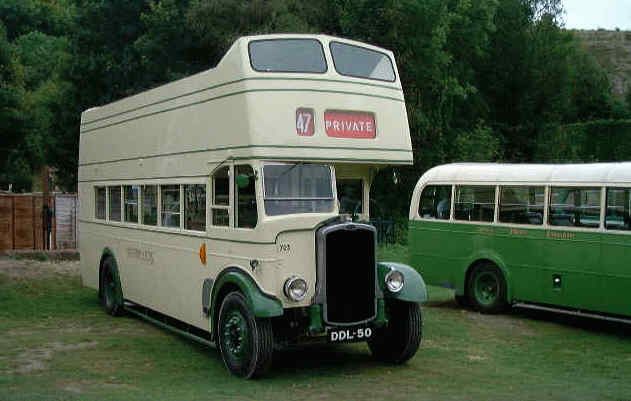 This Leyland (GDL 764) has a 53 seat Lowbridge body (with a sunken gangway to enable it to get under low bridges). Close on its heels is the Shanklin Pony. 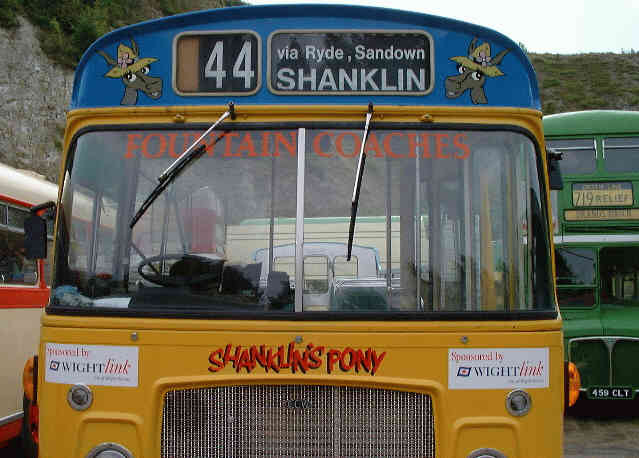 A better view of the Shanklin Pony (TDL 764K). 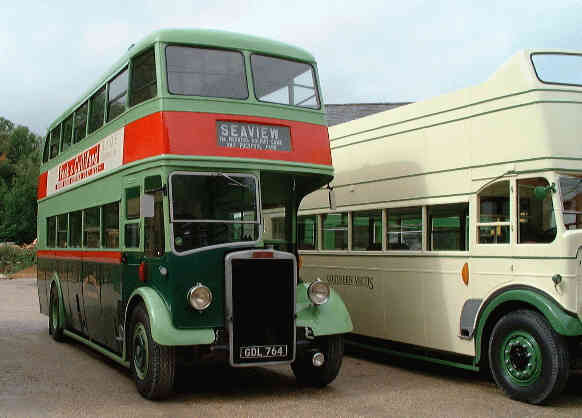 This Bristol RELL6G was purchased by Southern Vectis in 1971. 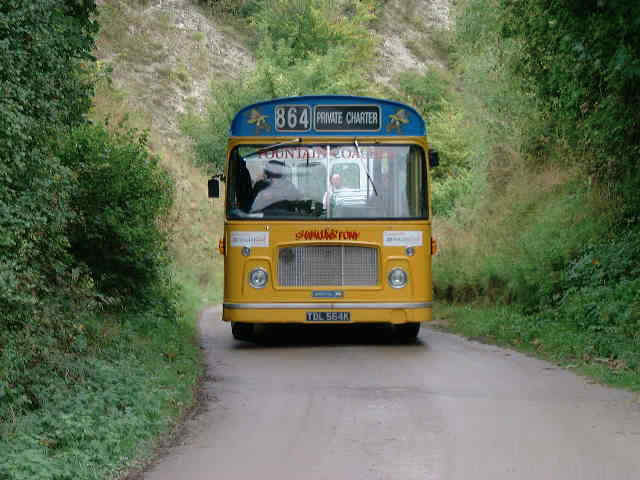 This bus was converted to open top for Summer services to Shanklin. 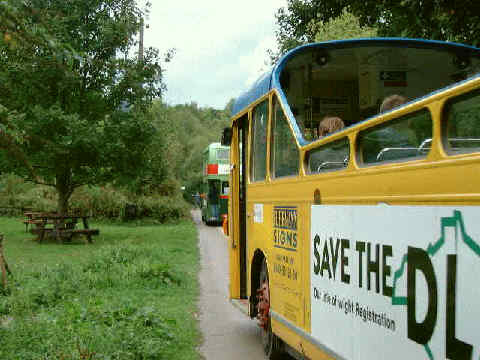 The Leyland PD2/1A descends Osbourne Lane (Amberley Museum). 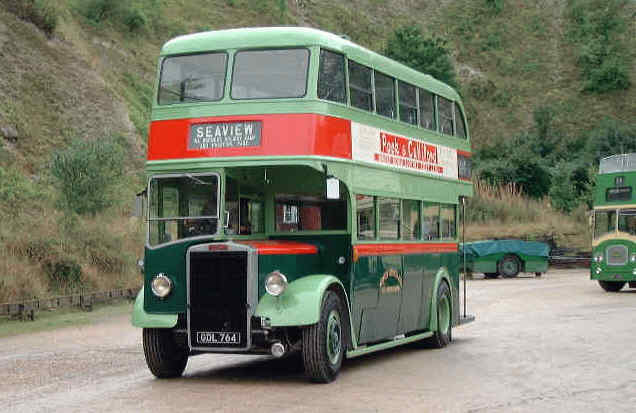 It operated all its life working between Ryde & Seaview - it must have known its way without a driver! 766 MDV sports the notice 'connections to I.O.W. 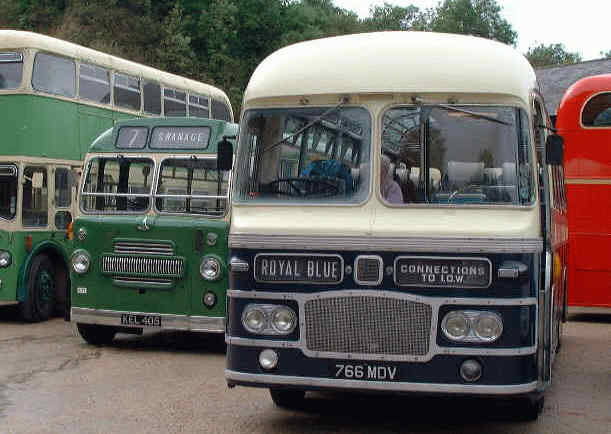 An advert from 1955 for the Royal Blue company proves the Isle of Wight connection with the company! The 'Royal Blue' again. 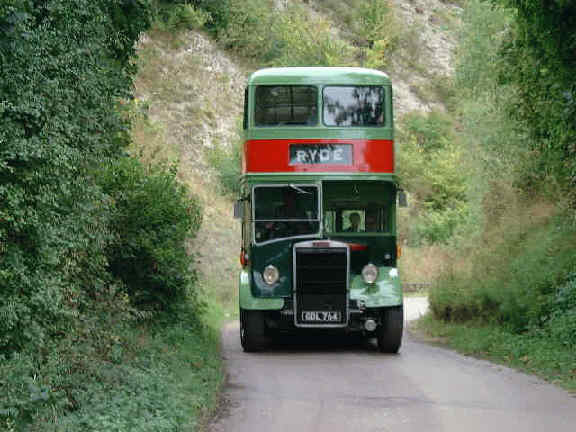 This 1963 Bristol MW6G has an Eastern Coachworks body. 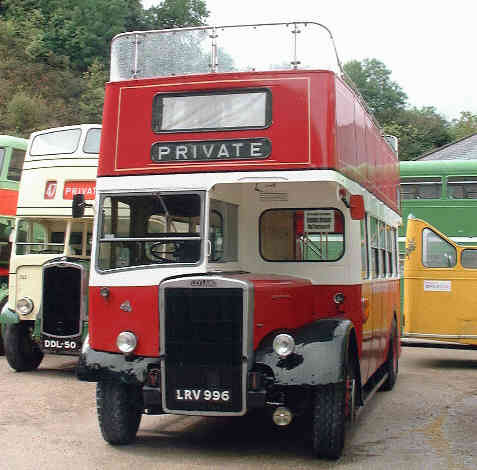 It was withdrawn in 1976 after covering half a million miles. 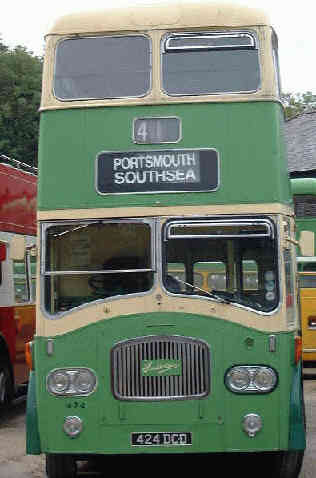 GDL 764 now with the Seaview destination board. 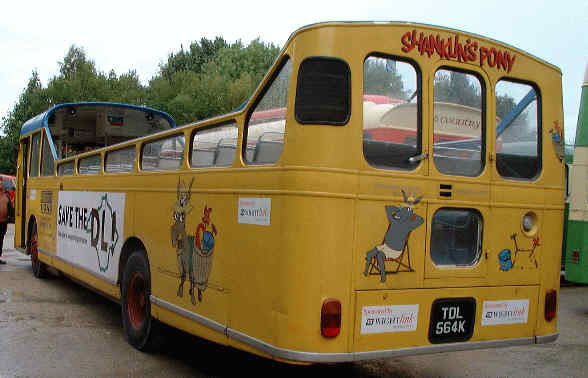 Shanklin pony with the notice 'save the DL'. 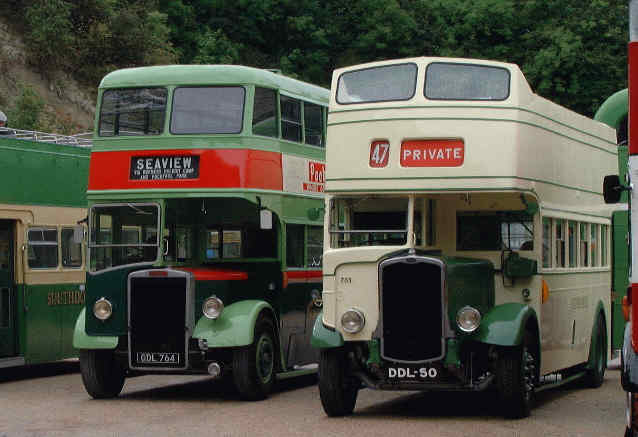 Cars registered in the Isle of Wight have DL as the last two registration letters. All UK areas have their own registration letters but are less obvious. The registration rules may change, hence the plea to keep the DL! 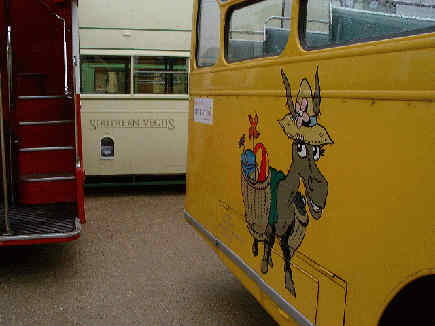 The 'inside' of the Shanklin Pony. 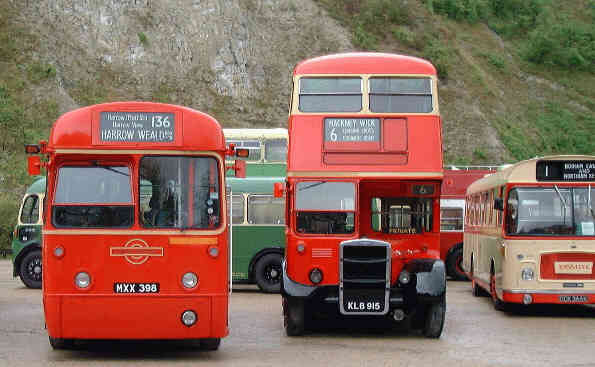 Two ex London Transport buses add colour. 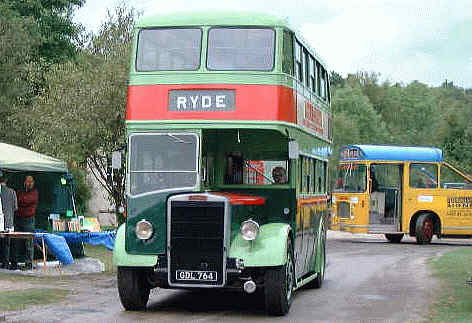 LRV 996, a 1956 Leyland PD2 converted to open top. 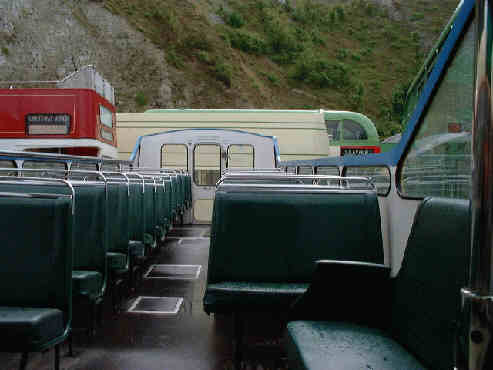 UF 4813 an earlier open top vehicle with appreciative passengers on board! 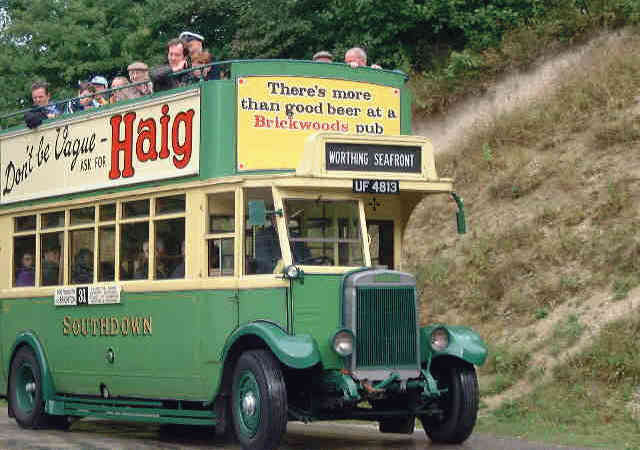 This vehicle is a 1929 Leyland TD1 Titan. A final view of DDL 50.